Trent Taylor , the CIO at Hhgregg is at number 3 with annual compensation of over $12 million,Mr. Taylor has over 25 years of experience in the information technology field, including systems architecture, data center infrastructure, networking, applications and e-commerce. 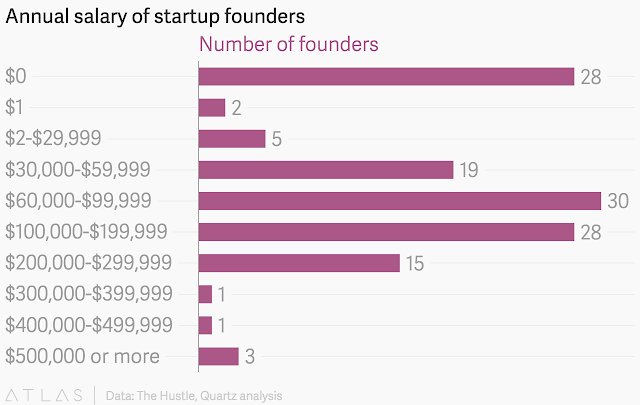 STARTUP FOUNDERS COMPENSATION CHART . This chart maps the highest startup founders with the highest annual salary vs founders who earns the lowest across the industry . In 2014, Satya Nadella made $84,308,755 at Microsoft as a Director and CEO. His compensation changed 999.4% from the previous year. 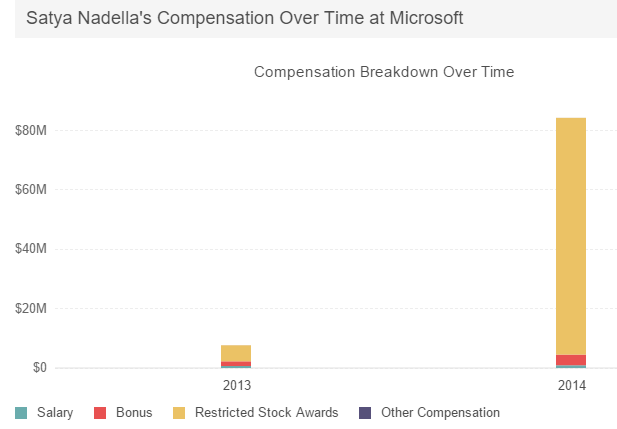 With this compensation, Satya Nadella made significantly more than the average public executive and significantly more than his executive colleagues at Microsoft. HOW does your salary compare to Satya Nadella .. Lets calculate this number and see how much this is above an standard US salary. $84,308,755 made by CEO of microsoft comes to$9,619 an hour, $160 a minute, and $2.67 a second. This is 211 times the president's salary and 1,591 times the median US household income.